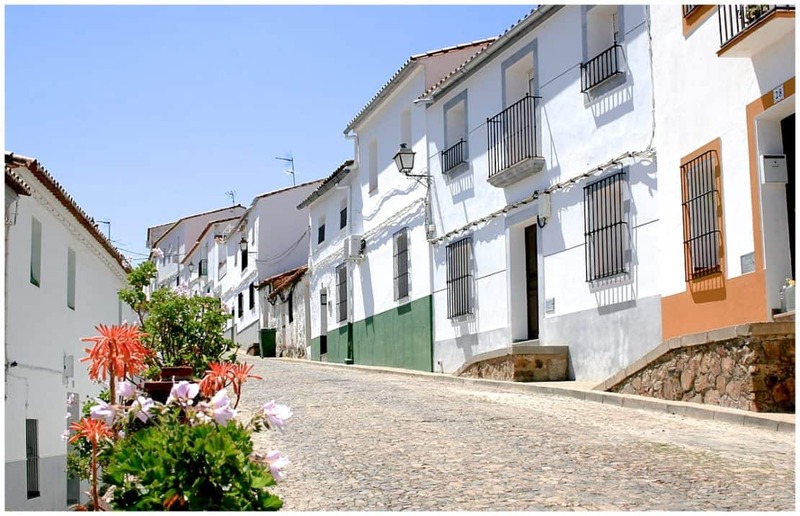 Zafra. The very name of the place intrigued me. I was hoping for something different, for something exciting and the Parador de Zafra didn’t disappoint. 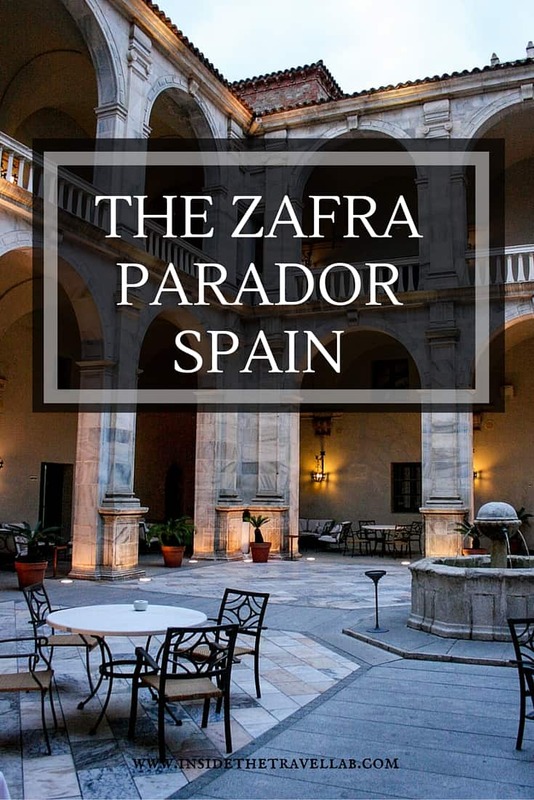 Paradors (Paradores in Spanish) are state-subsidised hotels found across Spain, many of which bring historical buildings back to life with some flair and flourish it has to be said. 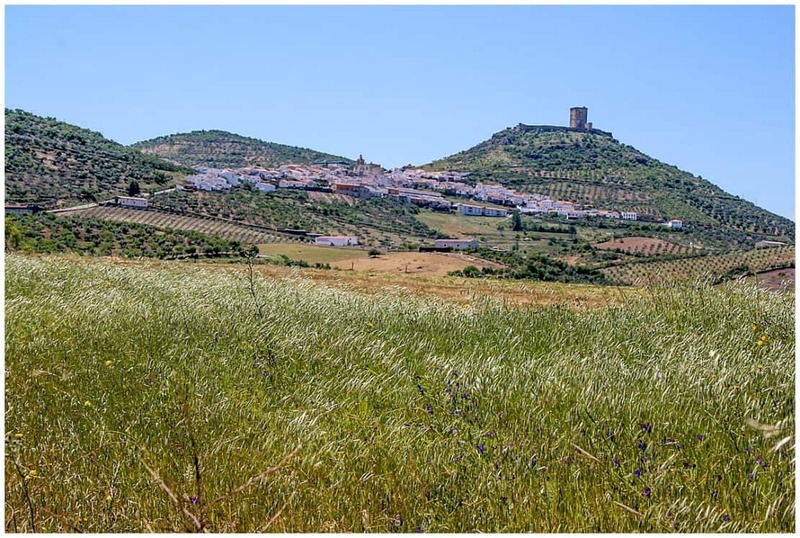 The Zafra Parador, for examples, goes by the name of “Parador de Zafra, Alcazar de los Duques de Feria,” reflecting the Dukes who used to own this castle. That’s right, it’s a castle, a “fortress built on the orders of the noble knight Lorenzo Suárez de Figueroa …in the year 1443.” Men of great historical, if controversial, prominence such as Hernán Cortés stayed here before sailing off to conquer the New World. Battlements still overlook the entrance, chiselled coats of arms guard the door and curved lantern-holders shield modern glowing lightbulbs. Pewter tankards and plates sit on polished wooden tables throughout the twisting corridors of the castle. So, too, do gloomy portraits of Christ and sombre embroidered curtains that evoke the spirit of the past. 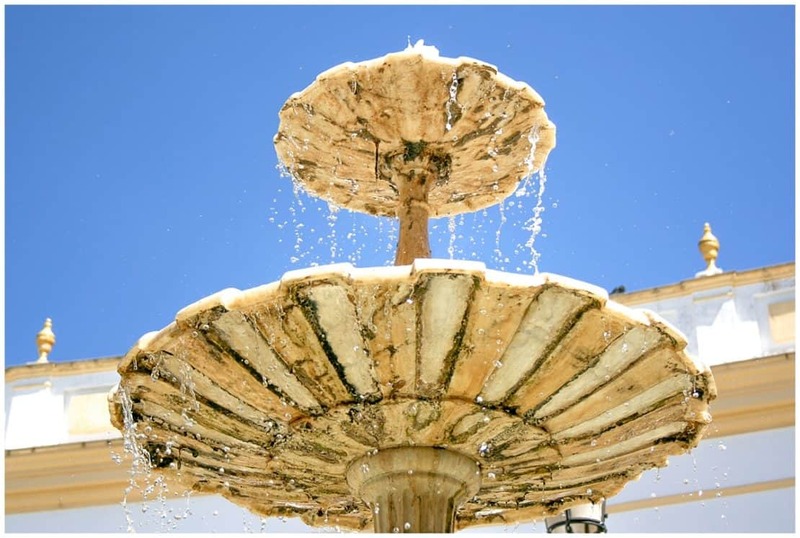 The hotel itself, however, functions as a modern hotel should: powerful hot running water, wifi in almost every room, room service, a television, and a sparkling, if small, swimming pool at the back. 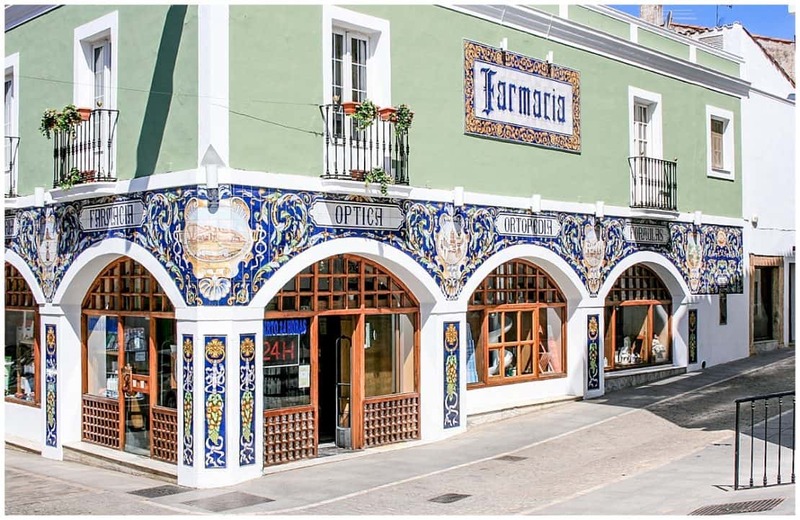 The restaurant’s menu features traditional food from the region: stewed lamb, fish, apricots and dates with honey, migas (fried breadcrumbs), chorizo and more. Breakfast, a pricey extra if not included with your booking, has a great selection of local hams, cereals and fresh fruit as well as churros, juice and scrambled eggs. Service is friendly for southern Spain. Parador hotels are not budget options, that’s for sure, but they do offer fantastic value for money. We booked using their young person’s discount (which, flatteringly, extends to the ripe old age of 35) for around £100 a night. For excellent food in a luxury castle in the centre of town, that’s a pretty good deal. 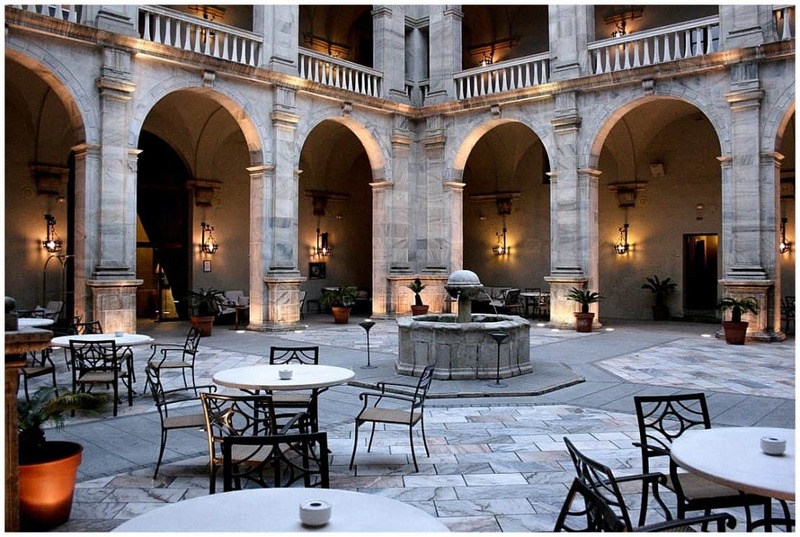 The Paradores Spain network extends across the country. 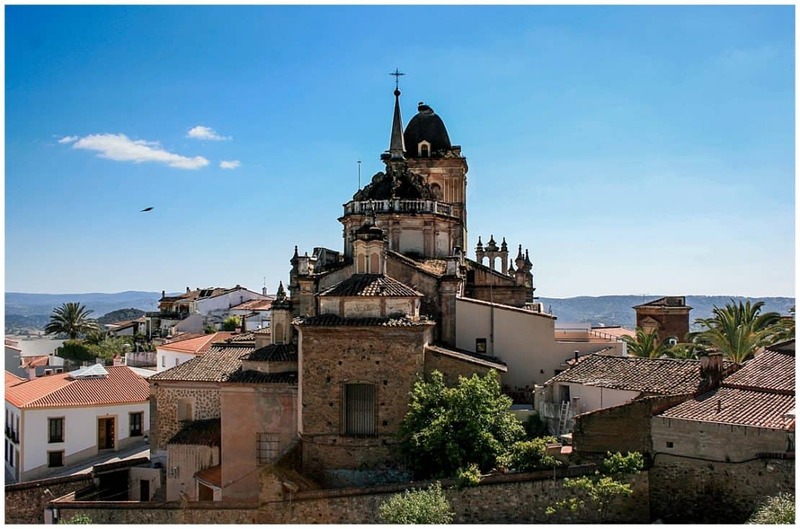 Some of my favourite spots include the hillside Parador with a view of Segovia and the less well known Parador in Merida. 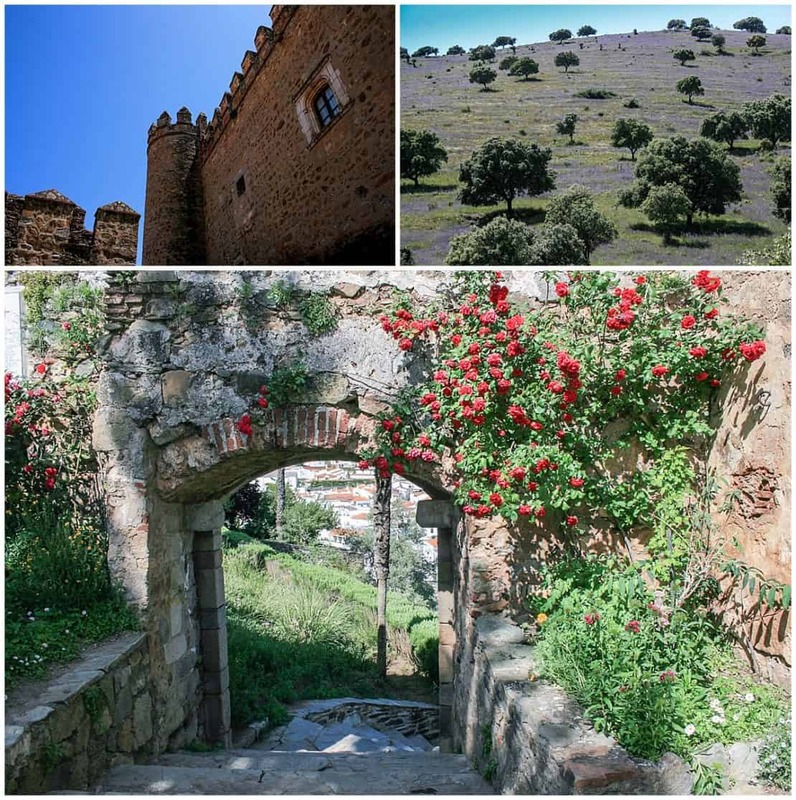 Have you ever stayed in a Spanish parador? If not, let me suggest that you give them a try!